The Zedd concert was like a hundred rainbows, exploding all at once. Thankfully, your cameras captured the experience. The Zedd concert happened last August 8, 2015, and boy was it a banger. It was loud, it was bright, and it was explosive—and it was filled to the brim with cropped tops, man-sandos, and a lot of caps worn backwards. Twelve thousand came to party that night with the pop-EDM god, and collectively attempted to literally bring the house down with their non-stop jumping. 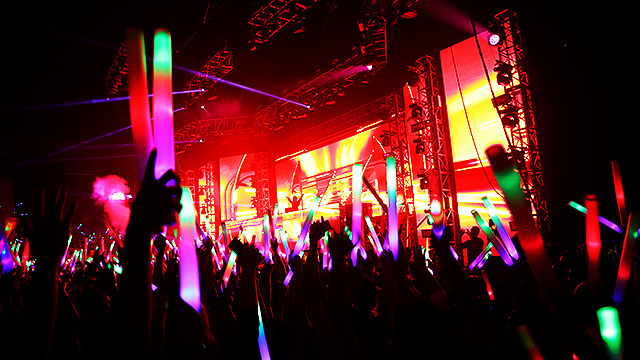 It was a proper rave, for which the guys behind Neverland Manila deserve a proper high-five. For an event as big, youthful, and kaleidoscopic as this, the photos of course, flooded Instagram. We've harvested here the best types we saw under #NeverlandManila2015ZeddTCT. Bros who rave together, stay together, bro. "I ain't raving without you, girlfriend!" "I ain't raving without you girlfriend...and make sure you wear the clothes I bought for you!" "I've got a better view than all of you did." Pro-party people say: It's easier to carve out a space in there when there's three of you. For girls planning to wear lingerie to the party, protect yourself from thirsty bros by surrounding yourself with three of your girl friends. #StrengthInNumbers. An unsustainable way to enjoy the party if you haven't been working out lately. "I'm going to the party, and you aren't!" Definitely not your ordinary jump shot at the beach. My squad is better than yo' squad. "Oh, didn't I tell you? I'm friends with the DJ." "Hey bae, I like Zedd too. Especially his song that goes, 'What's somebody like you doing in a place like this?' Oh, that's not a Zedd song? Oh, okay." Because what if that's just a shadow puppet? Okay, we'll stop with the #Giyangan.